NEW: Complete Frames and Lens Packages for $135. Get Your Glasses In Minutes While You Wait! At Sharpe Optometry in London, Ontario, optometrist Dr. Robert Sharpe and his team have been providing the best eye care possible since 1987. 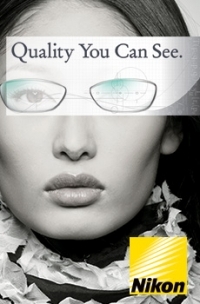 With us, you get state-of-the-art equipment and quality optometry services. Best of all, you don't have to wait! At our on-site eyeglass dispensary, you can choose from a wide range of stylish, affordable eyeglass frames, and have your glasses made in minutes. At Sharpe Optometry, we provide comprehensive eye care to ensure you'll be seeing 'Sharpe' for years to come! Take advantage of our $100 discount when you purchase a complete package of regular priced Nikon high definition digital progressive lenses and frames. I work hard to bring my small town values and friendly disposition to my work as an optometrist, and to build a rapport with my patients based on mutual understanding and respect. Take advantage of this $100 discount for complete package regular priced Nikon high definition digital progressive lenses and frames. Receive FREE Coupons directly in your email! Never miss an in-store promotion. Enter your email address below. Find these Great Eye Wear Name Brands at Sharpe Optometry in London! Treat yourself to the Sharpest Vision care possible.